When the locals in a small Russian hamlet learn that an undercover government inspector is coming for a surprise visit, an unfortunate case of mistaken identity sends the whole village spiraling into a world of panic and greed. Ivan, a lowly impoverished youth, is mistaken for a high-ranking government inspector. The town’s mayor and the leading government officials fear the consequences of the visit should he observe the extent of their corruption. Ivan makes the most of this misconception, weaving elaborate tales and accepting generous bribes from the officials. After insincerely proposing to the governor’s daughter, Ivan flees before his true identity is discovered and moments before the announcement of the arrival of the real government inspector. 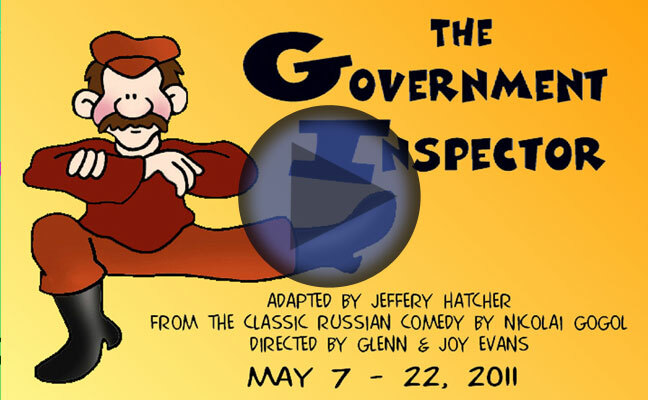 The Government Inspector ridicules the extensive bureaucracy of the Russian (or any) government. Witty, smart and wildly satirical, this timely and spirited adaptation of Nikolai Gogol’s classic play exposes the corruption of a provincial town with biting hilarity.